The first step of creating a blog includes choosing a blogging platform. A blogging platform is a software you use to create a blog and publish content. It is a type of content management system (CMS). Multiple blogging platforms are available online which offer a set of blogging tools and services providing everything you need to set up and run a blog. A platform can be free or paid. Over 15 million websites on the internet use WordPress, which is almost 30% of all websites worldwide, making WordPress the most popular CMS platform. There are over 76 million wordpress.com blogs. The principal two reasons for such a huge WordPress popularity is that this is a user-friendly and search engine friendly platform. This means that you do not need much experience in coding or web design to create a WordPress blog. Also, the platform supports a lot of plugins and extensions to optimize the blog even more and add features that are not a part of the core platform. As a result, search engines find it easy to index such a website and present them to their users as a response to a search query. 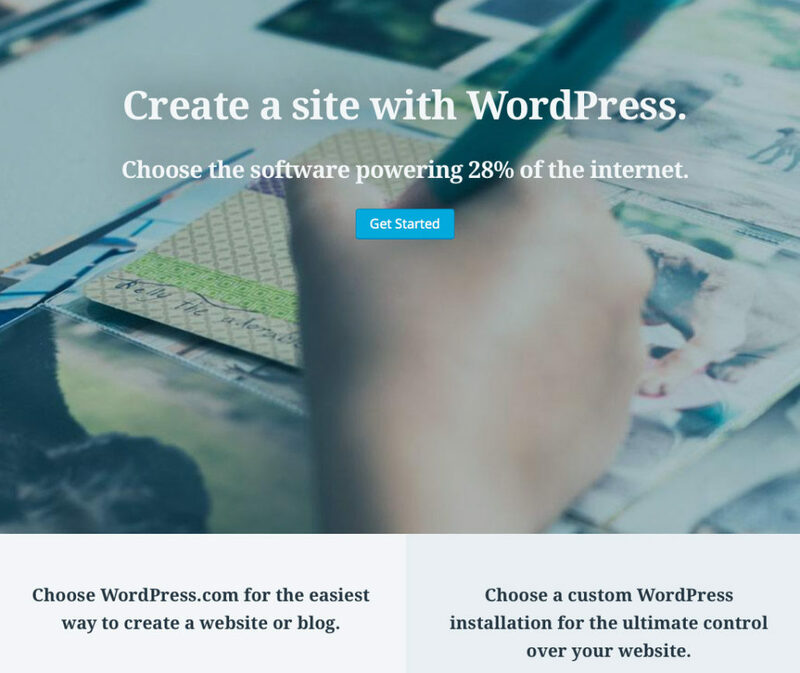 If you are interested in exploring WordPress as a platform, you will have two options to choose from: WordPress.com and WordPress.org. The platform is the same in both cases, but these represent two different solutions for bloggers. With this option, you will be hosting your own website or a blog. By visiting WordPress.org, you download the free software which needs to be installed on your web server. After this, you will be able to set up and customize your blog. This solution is a good choice if you want to have more control over your blog and flexibility when it comes to blog design and optimization. However, this comes with an added cost of blog hosting. You will also need technical know-how to install this blogging platform on the server. Even though this is not too complicated, it still can be a bit too much for someone who has no experience with it. If you want a blog without having to take care of hosting and web server installation, you will use the WordPress.com option. To create this blog, you will visit the homepage of WordPress.com and register for an account, which will take a couple of minutes. The pros of using this blogging platform include a free and quite straightforward setup, which is perfect for beginners. The platform also offers several paid upgrades, such as domain registration (allowing you to remove wordpress.com from your domain name), but in all, this option provides much less ability to customize and control the platform. Choosing between these two depends on the goals you have with blogging. If you have a personal blog, the free option without your own hosting can be enough to help you transfer your vision to a blog. Still, you have to be aware that this option comes with lots of limitations. If your plan is blogging for business, earning money through blogging and expanding your blog (by adding new authors, a management team, subscriptions, etc. ), you should use WordPress.org from the start. It integrates well with social networks and other platforms such as marketing automation software, email marketing software, e-commerce website, etc. As an open source platform, WordPress is constantly updated which fixes potential bugs and introduces new and improved features. 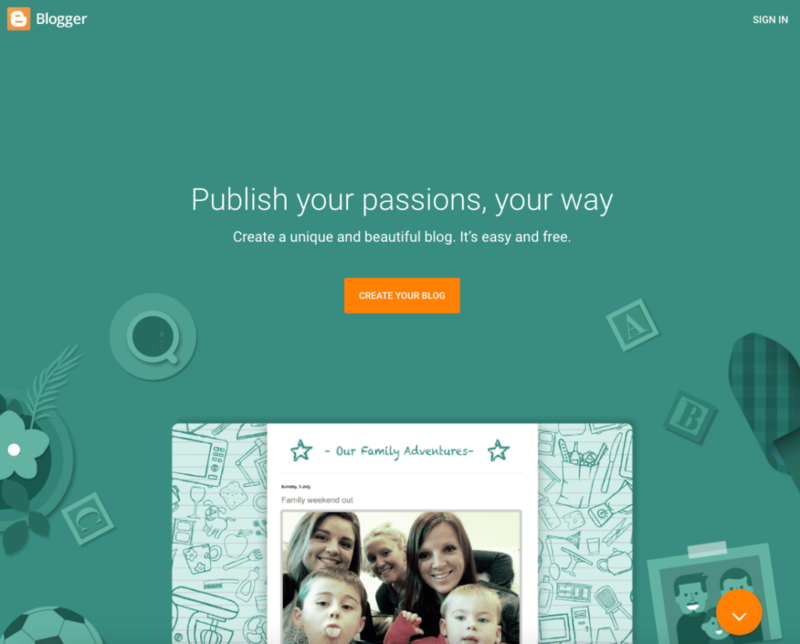 This is another popular blogging platform. It is hosted by Google and allows creating blogs with blogspot.com used as a part of the domain name. A custom domain can also be registered to remove the blogspot.com from the name and Google allows this for free. To create the blog using this platform, you will need a Google account. In general, this blogging platform is used by beginners and those who consider blogging as a hobby. Numerous limitations and poor customization options are the main reasons why professionals and ambitious bloggers, as well as companies, seek a more flexible and upgradable solution. Here is another easy-to-use blogging solution which comes with no additional monthly costs. The platform itself is designed as a micro-blogging platform which features short-form blog articles, quotes, images, etc. The opportunity to follow other blogs and get followers gives that social flair, thus increasing the engagement level. In December 2017, Tumblr reports having over 381 million blogs. When you register to the platform, you get a subdomain of tumblr.com. It is possible to remove this and use your own domain name, but you will have to register the domain name using another online service. 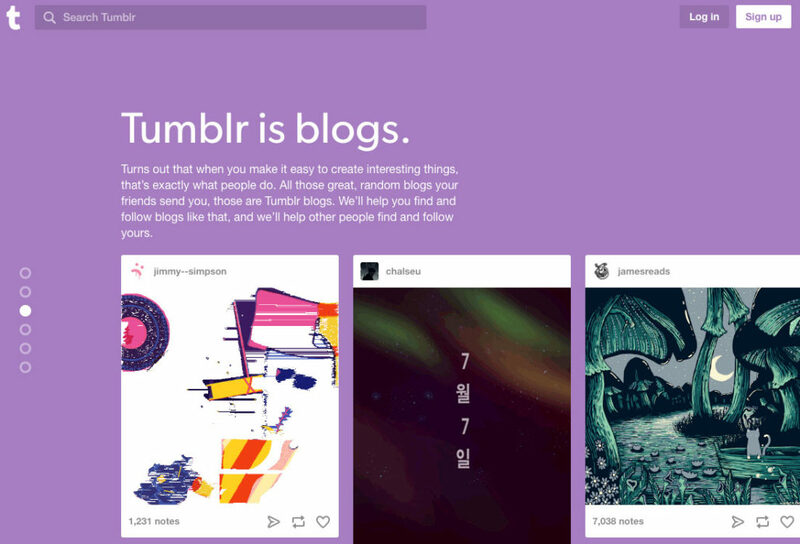 Tumblr represents a popular blogging solution, but it certainly is not for everybody. Some great companies have positioned themselves highly with Tumblr blog, using its social aspect in particular, but in essence, this platform is mainly used for personal blogs or creative blogs to showcase work online. 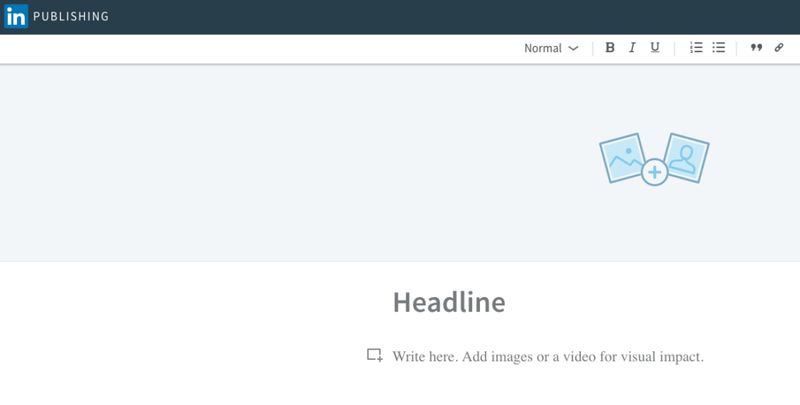 The option to publish blog articles on LinkedIn opened up with LinkedIn Pulse, but as of the end of 2015, Pulse no longer exists as a separate platform. Instead, its core features and functionalities are integrated into the LinkedIn platform enabling articles and stories to be accessible directly from the news feed of a LinkedIn account. To start blogging on LinkedIn, all you need is a content idea, and to think how to shape this into an article people are going to read. Also, you will need a LinkedIn account. Still, blogging on LinkedIn has a lot of drawbacks. Starting from the limited control of the platform to inability to collect readers’ email addresses, and no direct SEO benefits, it means that you will have to weigh in whether LinkedIn can be a platform that will add up to your blogging efforts and help you with achieving your goals. Medium is another free blogging platform enabling people to start blogging almost instantly. All it takes is to create an account and get started writing. The platform has an amazing import tool, supporting different content formats, easy inclusion of visual content and plenty of formatting options. All of this enables you to create very professional looking content and start gaining readers through the platform. Strong social aspect with features such as follow the author, bookmark the article, clap to show you like a story, etc. 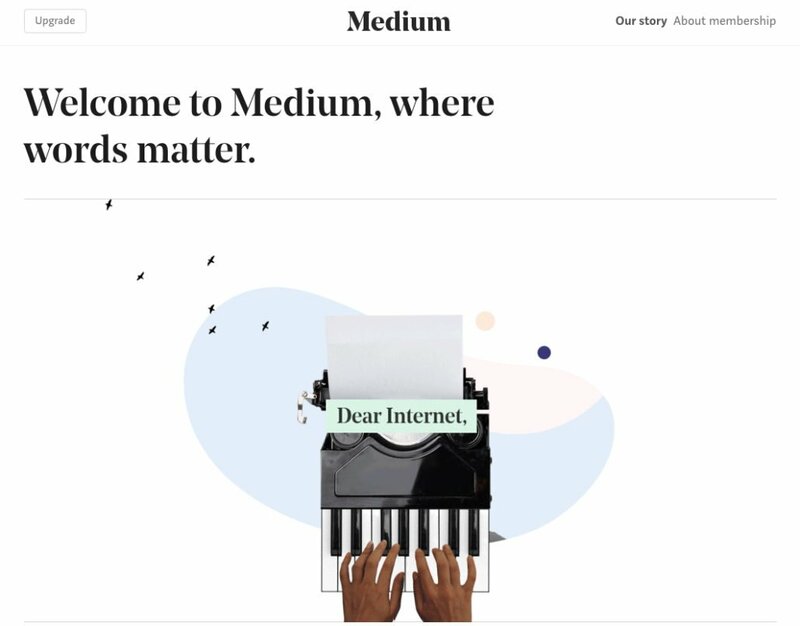 Despite lots of the benefits, like LinkedIn Pulse, Medium is a third-party platform, which means far less control and possibilities for blog customization. As you can see here, the first decision you will have to make when you decide to start blogging, is related to the choice of the platform you will use. On one side there are platforms like WordPress.org, where you get full control over the blog management and customization. You basically have your own CMS platform from which you create a blog. Alternative CMS platforms that could also be used for blogging include Drupal, Joomla, etc. You will need to create a promotional strategy to disseminate your blog content and reach online readers. Unlike using third-party blogging platforms, managing your own CMS means that you will not have access to an online community which could instantly help you with getting visitors to your blog. However, once you get visitors to your blog, you will have an opportunity to convert those visitors and collect their email addresses through your own blogging platform. Platforms like these, which offer more control, are usually an ideal choice if you are blogging for business, because they give you more flexibility and more possibility to convert your visitors, into becoming subscribers or clients. On the other hand, there are online platforms like Medium, that provide everything one needs to start blogging instantly. The main advantage of such platforms is this social aspect which helps you increase your reach. When you publish content through this platform, you immediately get an audience. Even though this audience might be limited (by the number of your followers if you are just starting out), it is more than you would have when starting out blogging independently. However, when blogging for business or working on brand promotion, these platforms can soon turn out to be too restraining. This means that the choice of which platform to use should be based on the type of blog you want to create. Think about your blogging goals, plans for the future and the roadmap you want to follow. In the end, it is important to mention that no rule states you should have only one blog. You could start various blogs on several different platforms and explore how each of them contributes to achieving your goals. You have to be aware that such a strategy will require more time to establish a presence on each platform, but it can be done at least on a trial basis. This enables you to try out the platforms first hand, and explore the benefits they can potentially bring.